form reliable opinion on work of IT Department. MGI Consulting’s methodology of IT audit is based on COBIT (Control Objectives for Information and Related Technology). Audit methodology complies with international business requirements, covering the entire spectrum of IT activities, focuses on effectiveness of management and control. COBIT act as an integrator of IT management practices and shall be used by senior management, corporate and IT management, specialists in area of security and IT sector control. In order to make recommendations implemented and effective the management and staff should know what to do, how to do and why it matters. 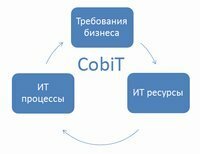 COBIT methodology was developed and is supported by an independent non-profit research institute, it is based on knowledge of associated members, industry experts and professionals in the field of control and security. The content of methodology is based on ongoing studies of best IT practices and is being constantly improved as an objective and practical resource for all types of users. COBIT is focused on purposes and scope of IT management, providing a detailed methodology for monitoring, compliance with principles of corporate governance and therefore is acceptable for the Board of Directors and senior management. 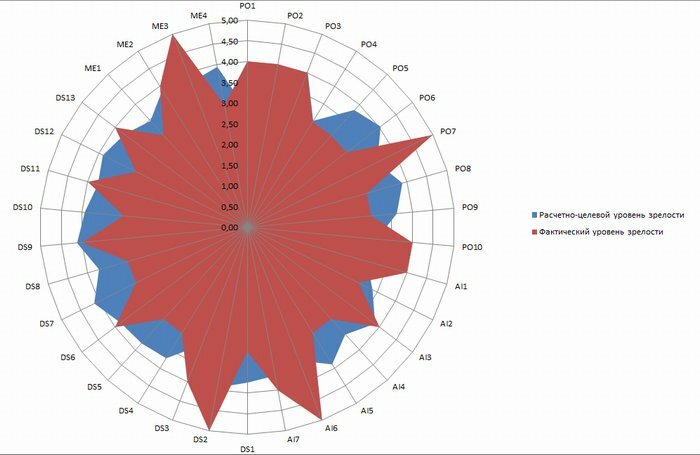 Upon results of audit our client receives an Auditor’s Report with an estimated and target levels of maturity for each tested process and for the entire Company. It contains detailed recommendations for achieving the best results and outlines risks faced by the Company and business processes. The Report also serves as a methodological material for managers of IT Departments.